Cover your workstation on with newspaper or film. Make sure the room is well ventilated or work outdoors. The bottles must be clean, dry and free of grease. 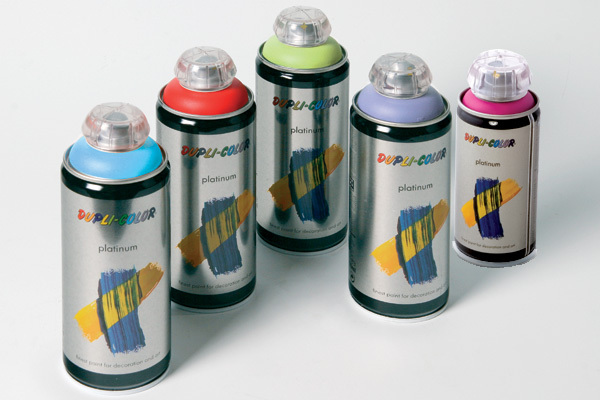 Spray objects crosswise from a distance of around 10 cm. Tip: Test first on an inconspicuous area. 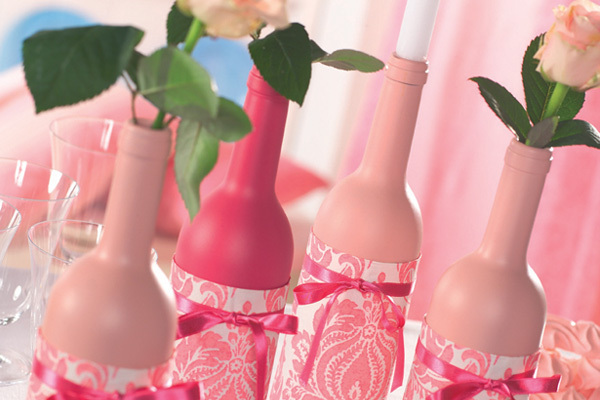 By placing the bottle on a cardboard box, your can easily turn your piece of art. This allows you to reach every angle without getting your fingers dirty. 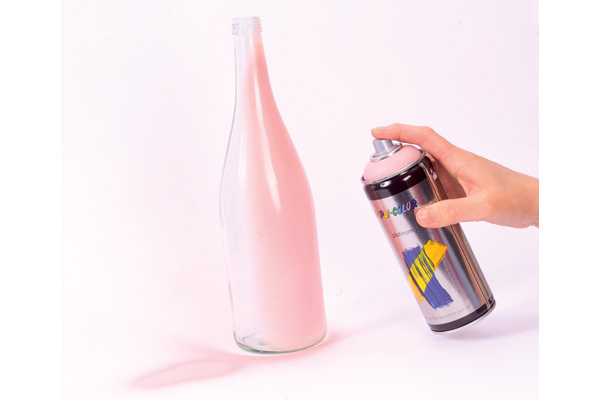 The advantages of spraying are in your hands: When you use a paintbrush, the paint can quickly run or leave visible strips – with a spray can, you have an even and blemish-free look. The results are more even when you spray lots of thin layers rather than one thick one. Leave to dry for a short period between each spray. 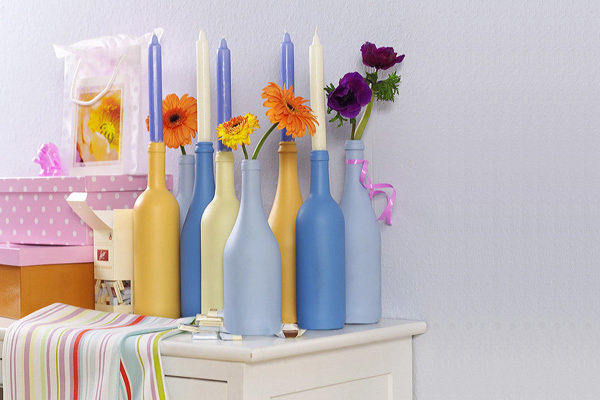 Your stylish candleholder creation is ready.